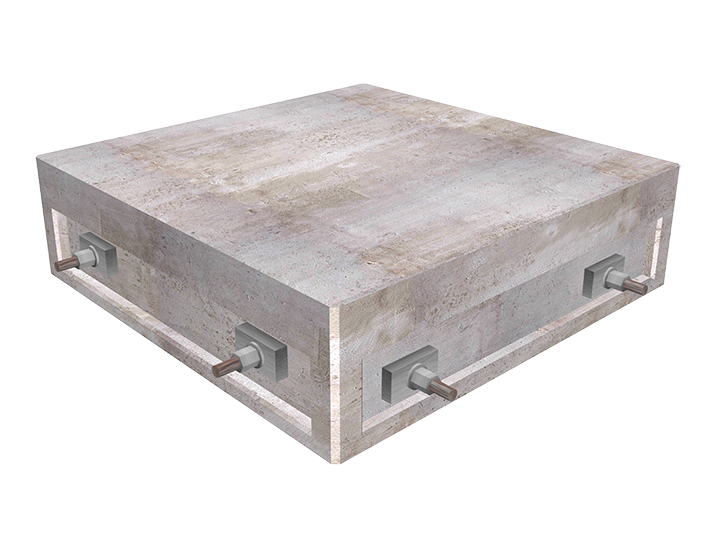 Oldcastle Infrastructure Cell Blocks® are a precast, post-tensioned foundation system designed specifically for the wireless communications industry. Cell Blocks® foundations accommodate monopoles, towers, power/telco pedestals, shelters, equipment cabinets, precast walls, chain link fencing and stairs. Since they are deployed at grade level and do not penetrate the soil, Cell Blocks® can be used at contaminated and environmentally or archaeologically sensitive sites. 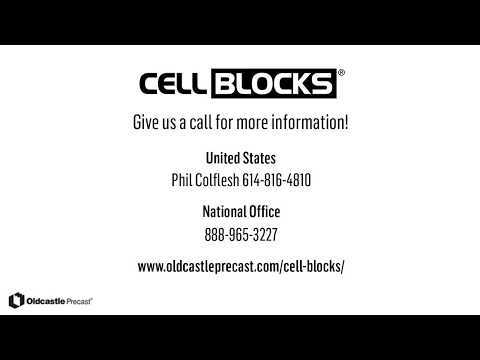 Cell Blocks® eliminate the need for concrete trucks and drilling rigs, making them ideal for remote sites. 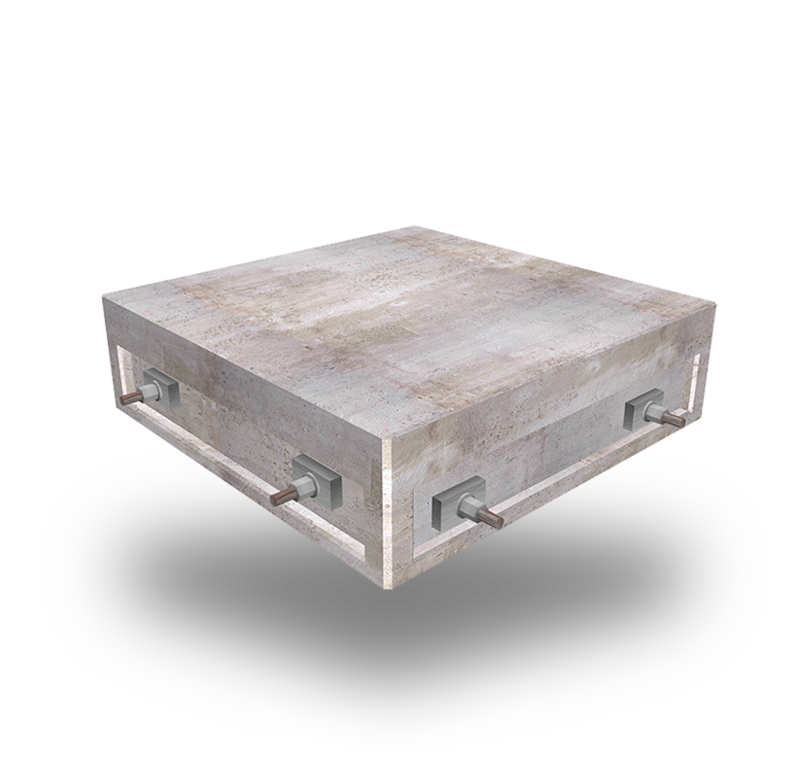 Pre-engineered Cell Blocks® require minimal site preparation. Block fabrication runs concurrently with the permitting process, facilitating aggressive construction schedule reductions. Typically, the foundation, shelter, and monopole (or lattice) are deployed in a single day. Once the blocks are post tensioned on day of installation, the foundation is full strength. No time delay for curing time associated with traditional methods. Cell Blocks® are widely accepted by regulatory agencies.